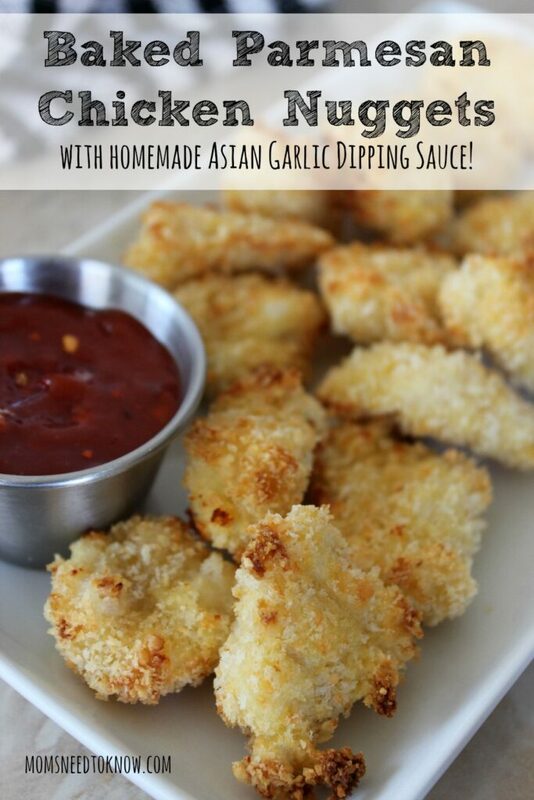 A lightened-up version of the traditional nuggets, these Baked Parmesan Chicken Nuggets with Asian Dipping Sauce pack a ton of flavor in each bite! Combine the sauce ingredients and refrigerate to allow the flavors to blend. Combine the panko crumbs, parmesan, salt and oil in a shallow dish and mix well. Place flour and eggs in separate shallow dishes. Dredge chicken in flour, then dip in egg and roll in panko crumb mixture before placing on rack. Repeat with the remaining chicken until tray is full. Bake about 15 minutes, turning chicken halfway.